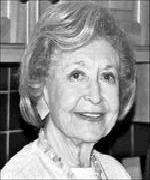 A lifelong Washingtonian, she was married to the late Norman Brody. She is preceded in death by her son, Robert. brother Tolbert Konigsberg (Jean) and by her many friends and family. The funeral will be on Sunday, March 11, at 1:30 p.m. at Washington Hebrew Congregation.